This looks so good, I’ve realised that it needs sharing widely. As soon as I’m back at home, I’ll be on these. And my men-folk will bow down to this domestic goddess. I love Reese’s peanut butter cups. LOVE THEM! But…if you think about them too much, you realize they are actually kind of nasty. Plus they have lactose in them which means I can get very sick if I don’t exert self-control. I always wanted to try making my own but it seemed like it would be really hard. BEHOLD! 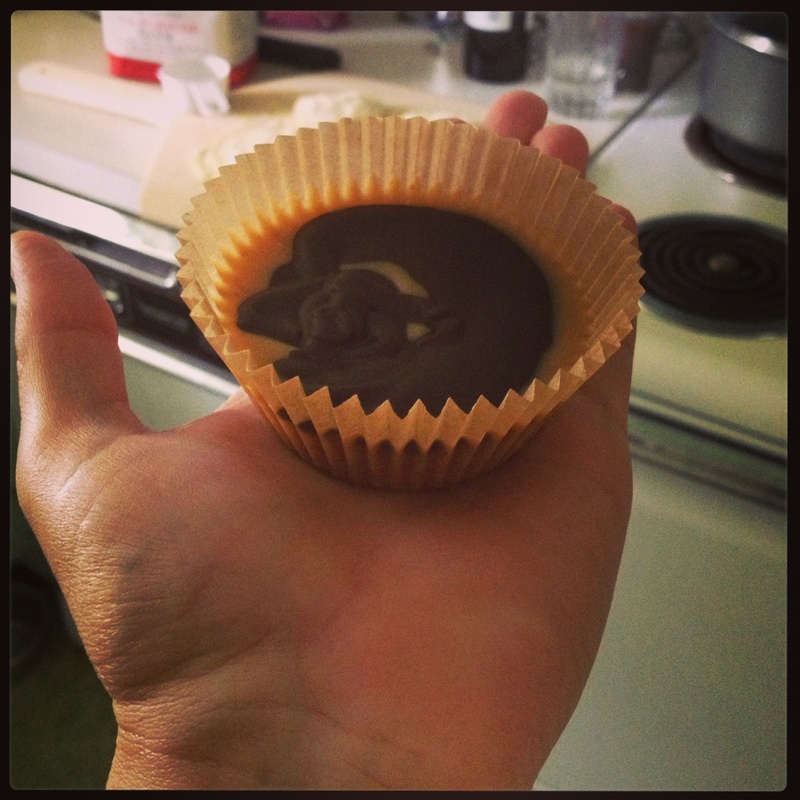 A peanut butter cup! Made in my kitchen!